Make this beautiful quilt using raw edge machine applique technique . Afraid of applique, Jean will show you how in this 2 part class. We will also learn how to fussy cut the border print & miter corners. 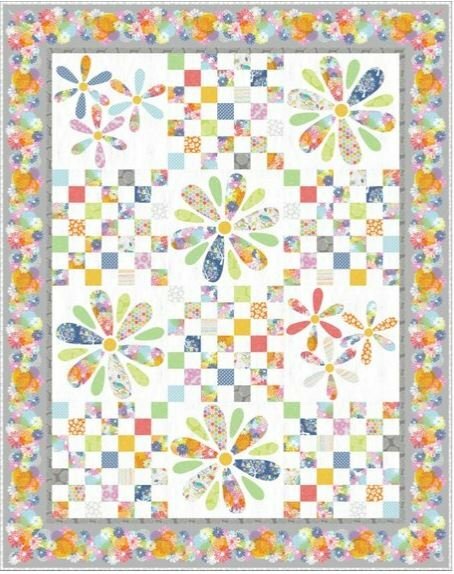 Does not include the cost of the quilt kit. Requirements: Kit for the quilt top and binding. You will also need fusible web; Jean's choice is Heat and Bond Featherlight. In addition to your quilt top you will need your sewing machine and your usual quilting tools.